Who is Paul Merson backing in Manchester City vs Liverpool? 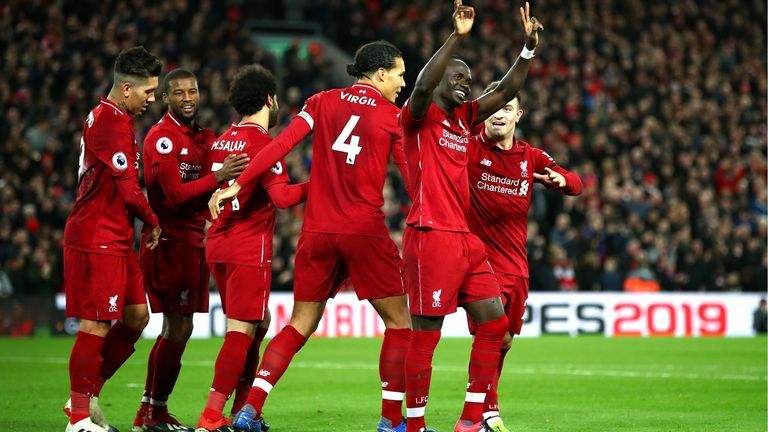 A win for Liverpool on Thursday night, live on Sky Sports, would leave Manchester City trailing the league leaders by 10 points. So who does the Magic Man think is going to prevail at the Etihad Stadium? This might sound silly, but I'd be shocked if Manchester City won this game. I'd be shocked. I just can't see how they can stop Liverpool from scoring goals. As the game goes on, I just don't see how Liverpool don't go on to win it. My only question of Liverpool would be how they play it. Do they go out and think that if they draw they've probably taken Manchester City out of the equation? Or do they go for the jugular and win the Premier League on Thursday night? If Liverpool lose the game, it's majorly game on because it's about how they react after, too, and they wouldn't be invincible any more, they wouldn't be quite as good as they thought they were. But I can't see them not getting anything. City look all over the place at the back. I don't really see their shape. They're great on the ball, but they close down quickly for so long and then drop off and if they do that against Liverpool and they get through one line, they've got too much pace for City to deal with. As the game goes on, City get more open and they've struggled with clean sheets recently. Even when they're 1-0 up and cruising against Southampton, and it's a walk in the park, Charlie Austin's through one-on-one and that could change it. They could have had a penalty against them too, I've seen lesser penalties given. Man City have spent millions and millions of pounds, they're buying full-backs for £50m to play just when they need them to play. You can't be spending that kind of money and be 10 points behind before the FA Cup third round. Win the game and go four behind and I think it's game on, it's what everyone will be hoping for unless you're a Liverpool fan… Well, you feel sorry for the Manchester United fans too, what do they want?! Really they needed Tottenham to beat Wolves! We're watching Manchester United again. I don't think they were that fussed before. To turn it on like they do now, Paul Pogba's scoring goals in the six-yard box - I've not seen him in there since the start of the season. Is the manager saying don't do that? Jose Mourinho's one of the best managers in the world, surely you don't tell a player not to play. They've got freedom, Nemanja Matic has passed the ball forward more times in the last three games than I've seen him do even when he was at Chelsea. Everyone's willing to make runs without the ball and it's refreshing. Newcastle will put 10 behind the ball, it's as simple as that, they'll try to play for a 0-0 and a set play. If they open the game up, I dread to think what the score will be. Bournemouth played high against United, but Cardiff sat back and they still played great football - they've got runners and when you do that, it's a threat and they've got major pace. 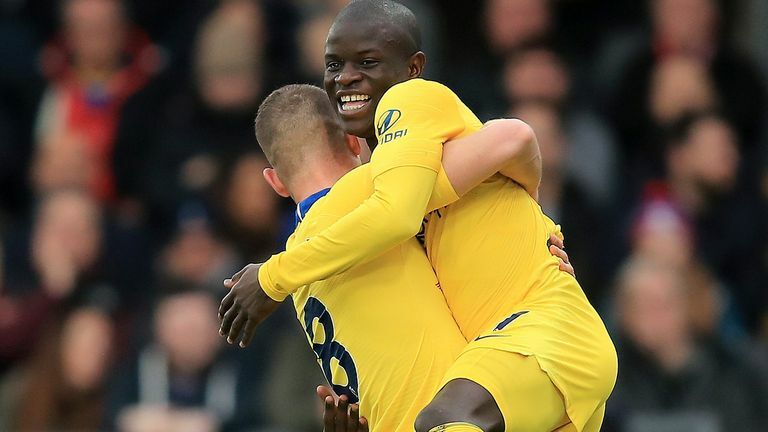 Predict this result as part of Sky Sports Super Six - and you could walk away with £250,000. Bournemouth haven't had a good month or so. There's been some hard games in there though, they've got injuries too and it isn't the biggest squad, but this is another game of Revels. It could be any score and you wouldn't moan. The other month Bournemouth went to Watford and won 4-0 when you expected Watford to win because they were rolling. You could guess the result and it could end up any score either way. It's one of those games where whoever wins can have a right go in the FA Cup. They'll be mid-table, having just won a game and you can concentrate on that, especially when Watford have to go to Woking - you can't be going out of the cup to a Conference South team. I thought Southampton did well at times against Manchester City to get back into the game, but it could have been eight before that. There's a reality check at Southampton. There's not too many players in their team who would get in other teams. They're in a relegation battle. They had the new manager syndrome, beat Arsenal and Huddersfield - but since then it's not been good. Watching Chelsea against Palace, there was no rush, no panic, no urgency, but it was a good result because Palace isn't the easiest place to go. Watching United and Liverpool at the moment though, winning 1-0 doesn't look that good, even when it is. I think they'll probably go for Callum Wilson in January, but Bournemouth's squad is so shallow at the moment that it'd be difficult to let him go. 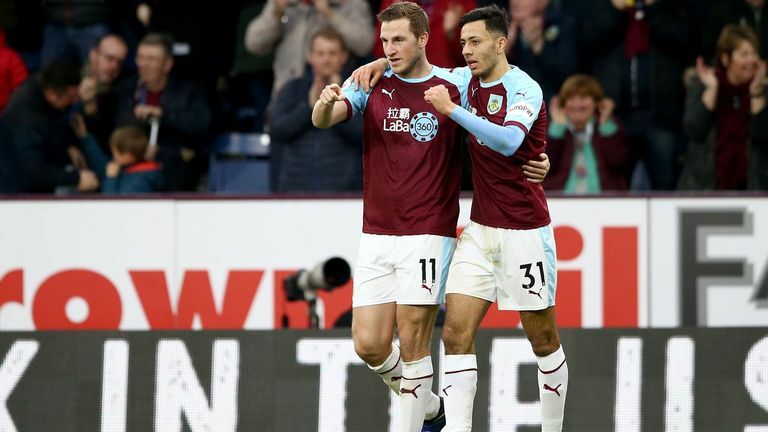 Burnley's result against West Ham was what we've been waiting for. I watched them against Brighton recently and that was Burnley again, hard to beat and physical, but then they're back to normal and milky. But for Huddersfield, it's a must-win game. If they lose, they'll be down by the start of January. They're playing a team in the bottom three with them at home and they just have to win, if they lose they're eight points off safety. We're talking about Manchester United chasing Chelsea down from eight points behind, and they win games. Huddersfield would have lost eight on the trot - that's some going. But I try to make a case for Huddersfield. I'll go for a home win to keep it alive. Take away Burnley's last performance, and the one against Brighton, good ones have been a rarity. West Ham's results are the problem with the mid-table teams - consistency. The manager will be pulling his hair out, they're flying along and get beaten at home by Watford. Then they come from behind against Southampton, and then lose at Burnley. It's consistency levels. I think they'll win here, Brighton aren't the same team away. I watched them against Everton and they were very comfortable against a team who had just won 5-1, but away from home - I don't know what it is, but I'd take West Ham. West Ham could be dark horses for the cup too. They're not getting relegated, they're not going to get in the top six, and it's a prime reason for them to have a go. Palace away might be a little bit better. At home, teams sit back a lot more, but they can have a go at Wolves. Both teams have got enough about them with pace up front to hurt either team. Wolves had a great result the other day, I called that game 4-1 - my mate text me who's a Wolves fan, he said they were singing 'Merson, what's the score?' Fair play to them, I didn't see that coming but they were outstanding in the second half. They've been a credit this season, and I think it'll be another open game. But Palace, with Wilfried Zaha, Andros Townsend and the pace of Jeffrey Schlupp will cause problems the other way too.